Employees State Insurance Corporation (ESIC) has released the exam dates & call letters for the UDC, MTS & Steno recruitment 2016.A total of 3770 vacancies are to be filled across various ESIC offices throughout India as part of this hiring.While many were eagerly awaiting to know about the exams, they have declared that it shall be conducted from March 18 to 26, 2016 & also provided the syllabus to prepare. 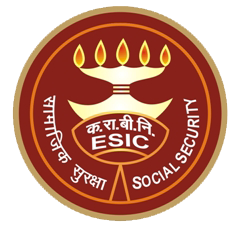 The ESIC recruitment 2016 was published by different regional offices in the month of December 2015 for the posts of Stenographer, Upper Division Clerk & Multi Tasking Staff. The online examination for UDC, MTS & Steno are to be conducted in shifts from 18th of March to 26th.Candidates will get to know their exact date, shift timing & venue in their admit card/ call letter. Exams shall be held in 3 shifts – 9 AM, 12.30PM & 4 PM with each test slot running for a duration of 2 hours. The hall tickets/ call letters are called as e-admit cards which every candidate must bring to the exam venue inorder to write the test. I dont have my registration number: Search your email or sms to see whether you had received any message from ESIC after submitting the application in January 2016. Still if you cannot find it, we are sorry to say that there is no facility to recover your number because thats the only proof for you to have applied. I have reg number BUT the admit card is not downloading: If you have all the required details but still you are not able to download due to some issues, then you may contact ESI corporation. Send an email to esic2016helpdesk@gmail.com along with details such as your Name, Application reference number, Post applied & Date of Birth etc. My details in call letter is wrong: Incase your e-admit card does not have a clear photo or missing or any detail is wrongly printed – you need not worry. ESI corporation will open facilitation counters (help centre) on March 17, 2016 at various offices across India. Candidates can visit these counters between 10AM – 5PM along with recent passport sized photos & necessary certificates/ documents to make corrections & get new admit card. ESIC also has done a good thing by clearly specifying the syllabus for these upcoming exams in March.This shall avoid unnecessary confusion among candidates & will help them prepare the required topics. The notification containing exam dates & syllabus with topics list are given in the notification link shared above. Read the file carefully till the end or else you may miss out important details.